Albert’s has been manufacturing and servicing commercial and residential awnings for nearly 20 years. 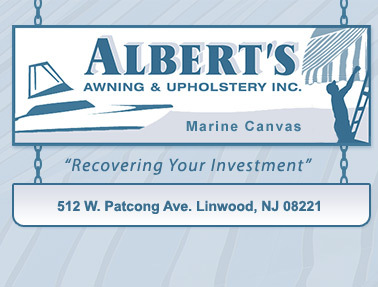 Currently Albert’s services hundreds of customers and their awnings in Atlantic and Cape May County. Albert’s specializes in stationary, window, porch, retractable, and dome awnings. In addition to aesthetic value awnings provides shade and protection from UV & UVB rays, increases square footage. Awnings can also contribute up to a 25% reduction in air conditioning cost!